Last week we looked at the best implementation that I’ve ever seen of content gating on the First Round Capital blog. Let’s dive right into the code. 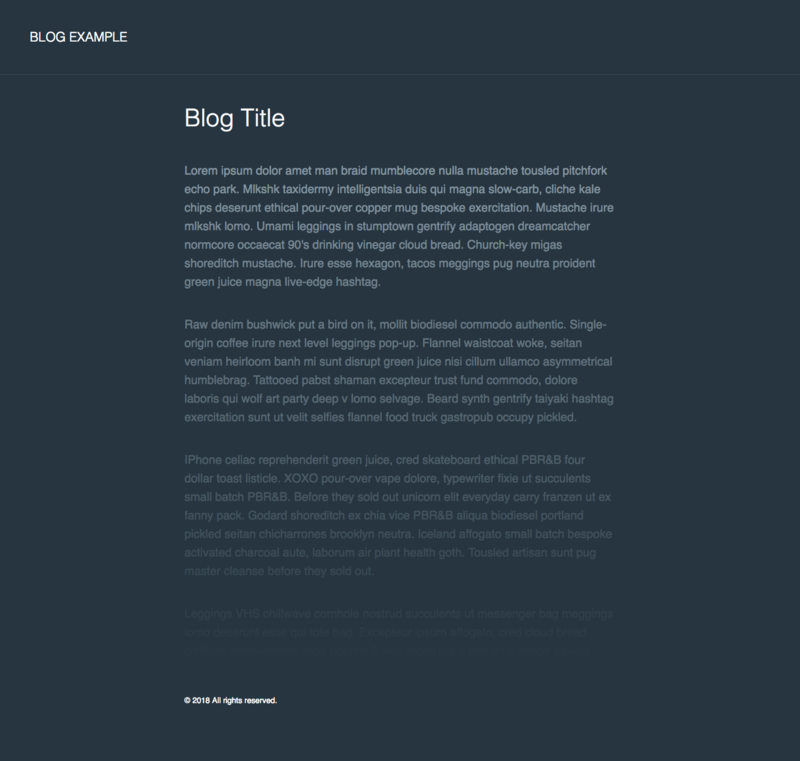 For example purposes, we’ll start with a super generic blog post layout. Nothing fancy. 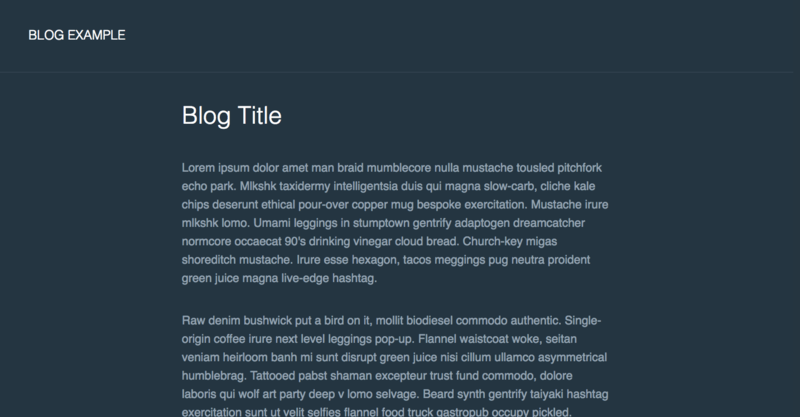 We just need a simple generic blog layout to add out gating example to. At this point, all we have to do to turn gating on for any blog post will be to add a .gated class to the .content section. This sets a fixed height of 1000px on the content div and activates an absolutely positioned .gate div which creates the desired fade out effect. Again, the “No thanks” link is key here. 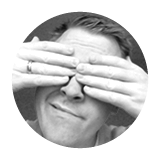 You don’t want to drive away visitors by forcing them to enter their email. The goal here is to collect as many email addresses as you can, but to never block someone from reading your content if they aren’t interested in joining your list. If a visitor enters their email, they should never see any additional content gates on any other posts from that point forward. 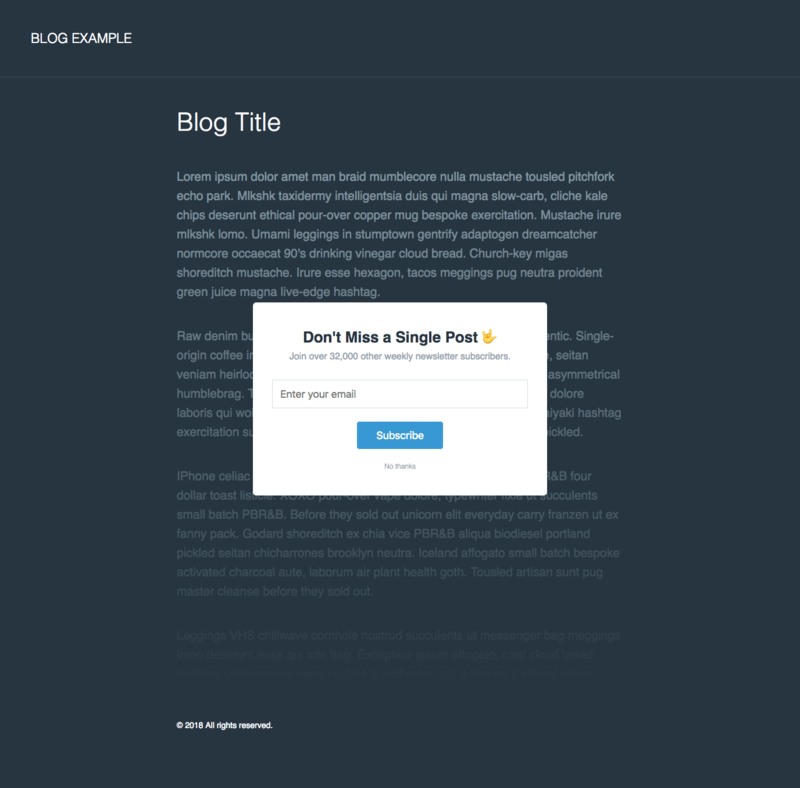 If a visitor loads the page, but neither submits the form, nor clicks “No thanks”, the next time they load a blog post on your site, they should still see the gate. If a visitor clicks “No thanks”, the gate should immediately disappear, and they should not see any additional content gates. // Dismiss gate when anyone clicks "No thanks"
That’s it! Here’s a final preview of everything in the browser. As with any of my code examples, this is a pretty bare bones approach. When testing any new onboarding initiative I’m a big fan of using what I call duct tape and super glue to test your hypotheses. What that means is that you don’t have to spend hours writing pristine code. You don’t have to write unit tests. Don’t make too big of a fuss over your v1 iterations because there’s a decent chance that you may want to scrap the entire initiative after gathering some data.